De Wayne M Mirtsching, D.C.
De Wayne M Mirtsching, D.C., is a chiropractor located in Austin, TX. Take the next step and contact Dr. De Wayne M Mirtsching, D.C., for a consultation in Austin, TX or to get more information. Alan M Berman, D.C., is a chiropractor located in Austin, TX. Take the next step and contact Dr. Alan M Berman, D.C., for a consultation in Austin, TX or to get more information. Henry Chang, D.C., is a chiropractor located in Austin, TX. Take the next step and contact Dr. Henry Chang, D.C., for a consultation in Austin, TX or to get more information. Mike Van De Walle, D.C.
Mike Van De Walle, D.C., is a chiropractor located in Austin, TX. Take the next step and contact Dr. Mike Van De Walle, D.C., for a consultation in Austin, TX or to get more information. Brian J Van Wagenen, D.C.
Brian J Van Wagenen, D.C., is a chiropractor located in Austin, TX. Take the next step and contact Dr. Brian J Van Wagenen, D.C., for a consultation in Austin, TX or to get more information. A R Mauldin, D.C., is a chiropractor located in Austin, TX. Techniques: • Diversified • Applied Kinesiology • Sacro Occipital Technique Take the next step and contact Dr. A R Mauldin, D.C., for a consultation in Austin, TX or to get more information. David R Wagner, D.C., is a chiropractor located in Austin, TX. Techniques: • Diversified Take the next step and contact Dr. David R Wagner, D.C., for a consultation in Austin, TX or to get more information. Thomas R Fedesna, D.C., is a chiropractor located in Austin, TX. Techniques: • Palmer Package • Gonstead Take the next step and contact Dr. Thomas R Fedesna, D.C., for a consultation in Austin, TX or to get more information. Stephen Berman, D.C., is a chiropractor located in Austin, TX. Techniques: • Diversified Take the next step and contact Dr. Stephen Berman, D.C., for a consultation in Austin, TX or to get more information. John D Carlson, D.C., is a chiropractor located in Austin, TX. Techniques: • Diversified Take the next step and contact Dr. John D Carlson, D.C., for a consultation in Austin, TX or to get more information. Harold Lewis, D.C., is a chiropractor located in Austin, TX. Take the next step and contact Dr. Harold Lewis, D.C., for a consultation in Austin, TX or to get more information. Stephen C Ahrens, D.C., is a chiropractor located in Austin, TX. Techniques: • Diversified • Sacro Occipital Technique Take the next step and contact Dr. Stephen C Ahrens, D.C., for a consultation in Austin, TX or to get more information. Scott Sims, D.C., is a chiropractor located in Austin, TX. Techniques: • Diversified Take the next step and contact Dr. Scott Sims, D.C., for a consultation in Austin, TX or to get more information. James Stubbs, D.C., is a chiropractor located in Austin, TX. Techniques: • Applied Kinesiology • Clinical Kinesiology • CranioSacral Therapy Take the next step and contact Dr. James Stubbs, D.C., for a consultation in Austin, TX or to get more information. William Lawson, D.C., is a chiropractor located in Austin, TX. Techniques: • Flexion-Distraction • Diversified • Gonstead Take the next step and contact Dr. William Lawson, D.C., for a consultation in Austin, TX or to get more information. Diane Shigley, D.C., is a chiropractor located in Austin, TX. Techniques: • Diversified • Cox • Sacro Occipital Technique • Applied Kinesiology • Activator Methods Take the next step and contact Dr. Diane Shigley, D.C., for a consultation in Austin, TX or to get more information. 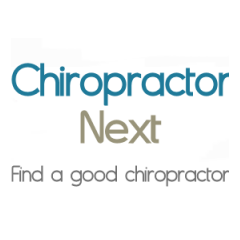 James W Wright, D.C., is a chiropractor located in Austin, TX. Take the next step and contact Dr. James W Wright, D.C., for a consultation in Austin, TX or to get more information. Gregory Sheppard, D.C., is a chiropractor located in Austin, TX. Techniques: • Chiropractic Biophysics • Diversified Take the next step and contact Dr. Gregory Sheppard, D.C., for a consultation in Austin, TX or to get more information. Nick Fourie DC, D.C., is a chiropractor located in Austin, TX. Techniques: • Applied Kinesiology • Diversified • Upper Cervical • Spinal Decompression Take the next step and contact Dr. Nick Fourie DC, D.C., for a consultation in Austin, TX or to get more information. Curtis J Hall, D.C., is a chiropractor located in Austin, TX. Techniques: • Diversified Take the next step and contact Dr. Curtis J Hall, D.C., for a consultation in Austin, TX or to get more information. Gary L Seghi, D.C., is a chiropractor located in Austin, TX. Take the next step and contact Dr. Gary L Seghi, D.C., for a consultation in Austin, TX or to get more information. Robin H Shepperd, D.C., is a chiropractor located in Austin, TX. Techniques: • Diversified • Network • Applied Kinesiology Take the next step and contact Dr. Robin H Shepperd, D.C., for a consultation in Austin, TX or to get more information. Mike A Huneycutt, D.C., is a chiropractor located in Austin, TX. Techniques: • Diversified Take the next step and contact Dr. Mike A Huneycutt, D.C., for a consultation in Austin, TX or to get more information. Frank J. Siebenaler DC, D.C.
William Booker, D.C., is a chiropractor located in Austin, TX. Take the next step and contact Dr. William Booker, D.C., for a consultation in Austin, TX or to get more information. Jeff Echols, D.C., is a chiropractor located in Austin, TX. Techniques: • Applied Kinesiology • Diversified • Manual Adjusting • Trigger Point Therapy Take the next step and contact Dr. Jeff Echols, D.C., for a consultation in Austin, TX or to get more information. Brett E Usher, D.C., is a chiropractor located in Austin, IN. Techniques: • Sacro Occipital Technique • Cox • Thompson • Diversified • Activator Methods Take the next step and contact Dr. Brett E Usher, D.C., for a consultation in Austin, IN or to get more information. W Bryan Woods, D.C., is a chiropractor located in Austin, TX. Take the next step and contact Dr. W Bryan Woods, D.C., for a consultation in Austin, TX or to get more information. Roy A Logan, D.C., is a chiropractor located in Austin, TX. Techniques: • Diversified • Motion Analysis (Palpation) • Manual Adjusting Take the next step and contact Dr. Roy A Logan, D.C., for a consultation in Austin, TX or to get more information. Michelle Andrade, D.C., is a chiropractor located in Austin, TX. Techniques: • Diversified • Activator Methods Take the next step and contact Dr. Michelle Andrade, D.C., for a consultation in Austin, TX or to get more information. Joshua A West, D.C., is a chiropractor located in Austin, TX. Take the next step and contact Dr. Joshua A West, D.C., for a consultation in Austin, TX or to get more information. Charles Hensley, D.C., is a chiropractor located in Austin, TX. Techniques: • Diversified • Neuro Muscular Technique Take the next step and contact Dr. Charles Hensley, D.C., for a consultation in Austin, TX or to get more information. Kimberly Heinrick, D.C., is a chiropractor located in Austin, TX. Take the next step and contact Dr. Kimberly Heinrick, D.C., for a consultation in Austin, TX or to get more information. Max J Conley, D.C., is a chiropractor located in Austin, TX. Take the next step and contact Dr. Max J Conley, D.C., for a consultation in Austin, TX or to get more information. Gregory B Janssen, D.C., is a chiropractor located in Austin, TX. Take the next step and contact Dr. Gregory B Janssen, D.C., for a consultation in Austin, TX or to get more information. Roxanne Smith, D.C., is a chiropractor located in Austin, TX. Take the next step and contact Dr. Roxanne Smith, D.C., for a consultation in Austin, TX or to get more information. Shane Henrie, D.C., is a chiropractor located in Austin, TX. Take the next step and contact Dr. Shane Henrie, D.C., for a consultation in Austin, TX or to get more information. George M Shannan, D.C., is a chiropractor located in Austin, TX. Techniques: • Activator Methods • Gonstead • Applied Kinesiology • Diversified Take the next step and contact Dr. George M Shannan, D.C., for a consultation in Austin, TX or to get more information. Cynthia Lara, D.C., is a chiropractor located in Austin, TX. Techniques: • Activator Methods • Bio-Energetic Synchronization Technique • Diversified • Sacro Occipital Technique Take the next step and contact Dr. Cynthia Lara, D.C., for a consultation in Austin, TX or to get more information.